With a focus on portraiture and abstract expressionism, current fine art student Bethany often studies how life is perceived by individuals who cannot control their mind – aiming to portray mental illnesses. Everything in her work links back to control. 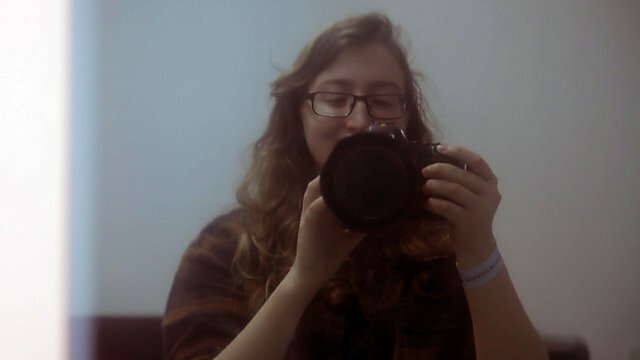 While Bethany's background is in painting and drawing, she has begun to produce digital and print works. She has an interest in the history and philosophy of art – particularly influenced by the notion of original thought. Bethany has been involved in exhibitions within her degree as well as being in an Age UK show Impressions 2017, The Plymouth Art Weekender 2018, Studio 102’s Stand Out exhibition and has entered work in to the 20:20 print exchange. 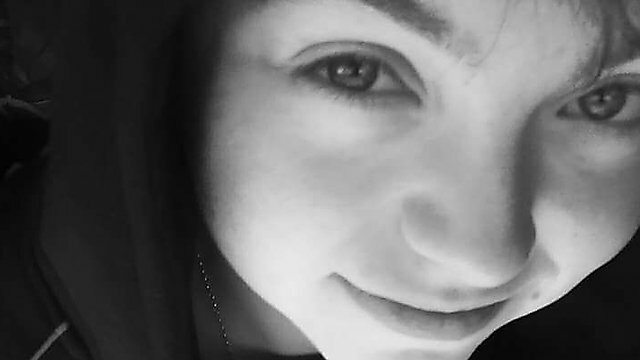 She feels the purpose of art is to change someone for the better – even if it’s only one person. “I am looking to captivate and inspire citizens of Plymouth to decide what legacy they want to convey to forthcoming generations on a global level and on a personal one. 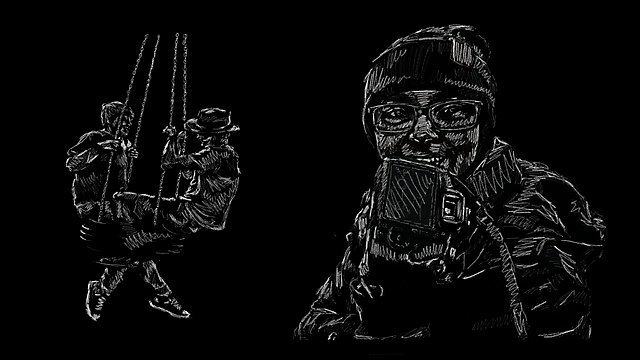 “My animated sequence, I Hope They Remember You, combines the traditional version of portraiture with movement to show people emoting and capturing the essence of a person, creating a moving representation. 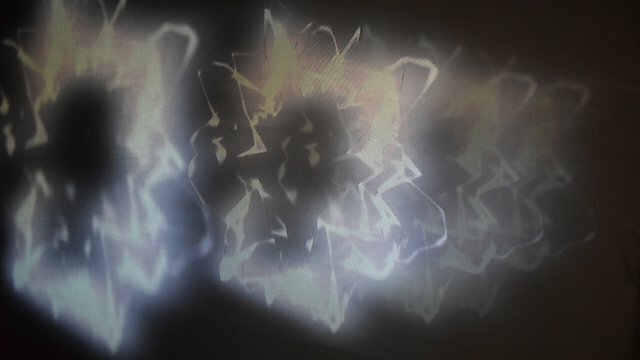 Current Plymouth fine art student Eliza's featured work at the festival was a light and sound installation called Our Journey. “Through this art installation I encourage viewers to become more aware of individual sensual responses when perceiving a shared physical experience. A key inspiration of Eliza's work is to both inspire and challenge viewer's imagination. Fine art student Jaydan's featured piece was called Iridescent. 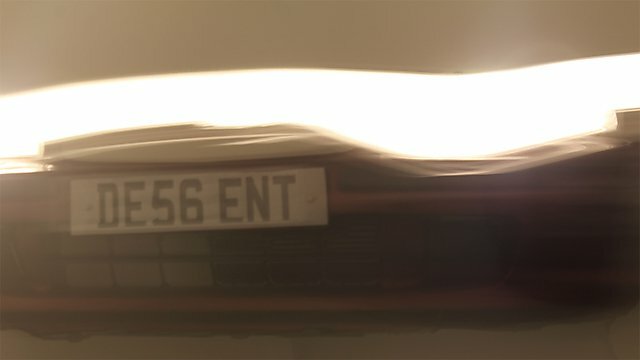 It took the form of an installation of the front bumper of a car with the headlights resting upon the top, as if the car was coming out of the exhibition/outdoor space. 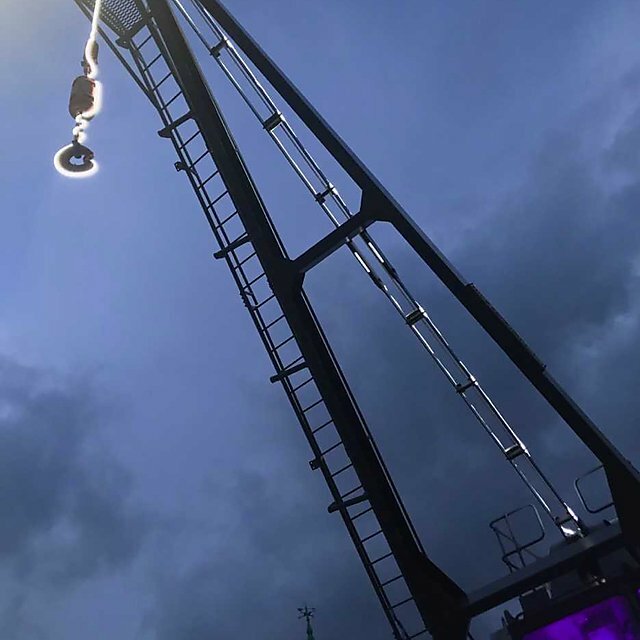 He made the piece more ‘festival like’, to fit into Illuminate’s style with coloured lighting rather than the standard warm orange car lights. The name comes from a Linkin Park song, the band is a major influence on Jaydan’s work. “My artistic practice stems from an autoethnographic approach with notions centred around gender, social constructs, faith and mental health issues. 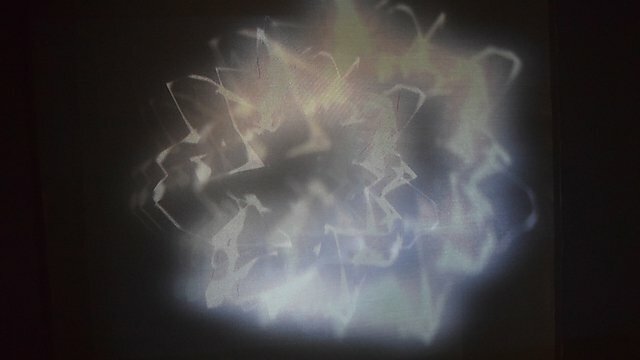 I am a multidisciplinary artist working with film, sound, light and installation-based practices. “I have previous experience working with various galleries in and around Plymouth including my work as an intern at the Arts Institute for the last two years. My work as a volunteer and production assistant with Effervescent has had the most influence on my research and artistic practise. 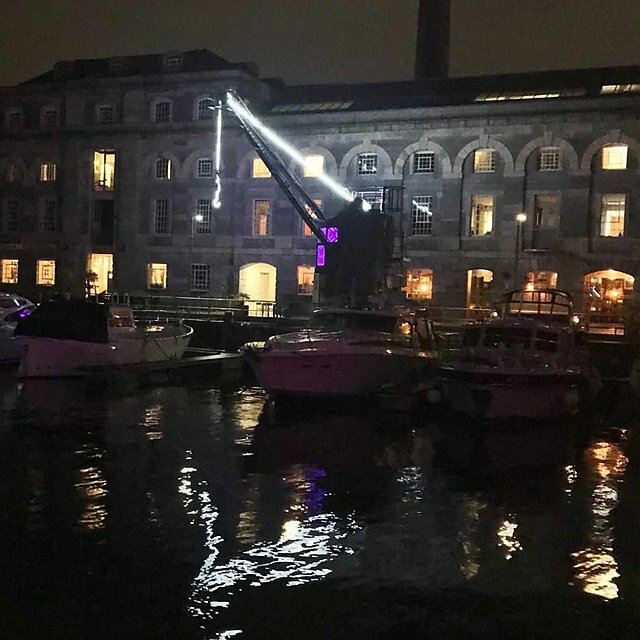 Alongside current fine art students, Phil Power, the University's Associate Professor in Fine Art, exhibited a piece involving the iconic grey Stothert and Pitt’s cranes at the Royal William Yard as part of this year's Illuminate Light Festival. “I welcome the desire to create both landmark and special places – as often landmarks can create viewing points punctuating the landscape but not places to just ‘be’ and contemplate. My constant material is light, both natural and made. “The work is essentially collaborative; working with other professions to turn spaces into places. The starting point is the place; its history, geographical, social, environmental and cultural context. By working to understand all of that and carefully looking at uses and perceptions, I start to construct a ‘solution’. “It is the duality of the private within a public space that fascinates and which I engage with and through the work. The aim to create work, which has many layers, meanings and interpretations; work that responds to the diversity of public viewers passing through – be it in minutes or years. “However, it is not just collaboration with other professions that interests but also with the users of a space. A need to find ways in which to engage the people who use and know the space and those who will be affected by its future development. 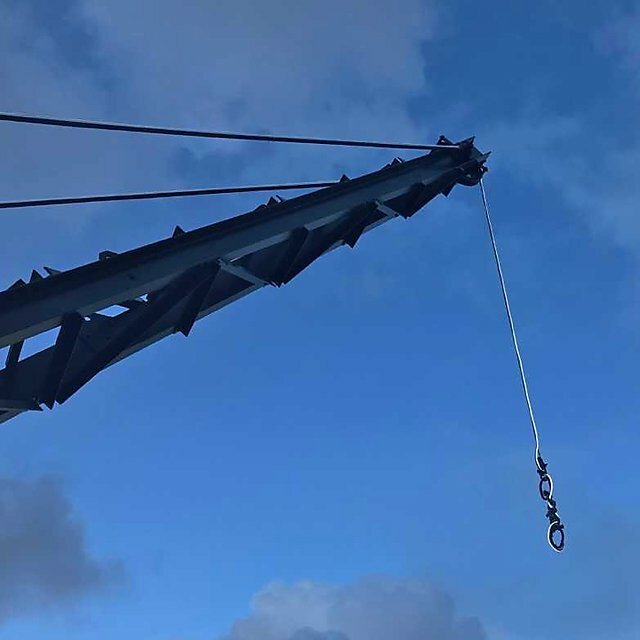 “There is a deliberate deference to Royal William Yard, Stothert and Pitt’s cranes are a symbol, a symbol that I am extremely excited to work with. 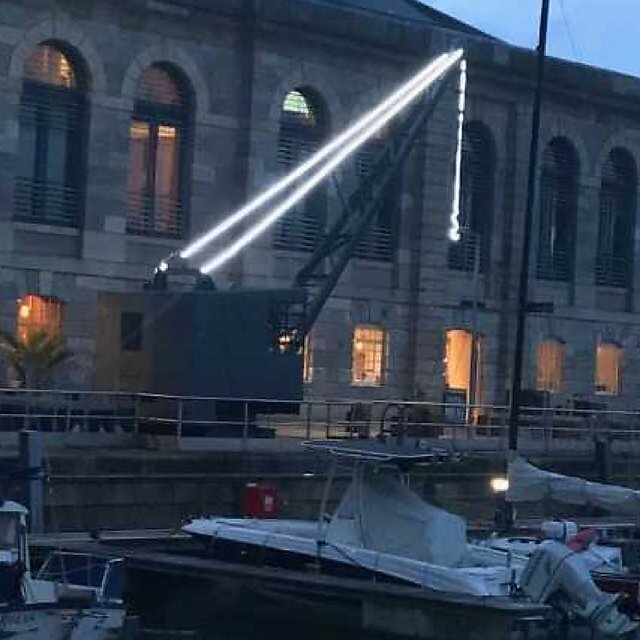 Seeing ‘Illuminate’ as a celebration of Plymouth’s modern heritage. The ‘triggers’ are the people themselves, by moving along the route they become part of the work. “This luminous storytelling underlines Royal William Yard’s uniqueness on both a local level and an international stage. Accompanied by the belief that light and brilliance help in creating the sites iconic architecture. Light is not a tool to enable vision but rather something to look at itself. 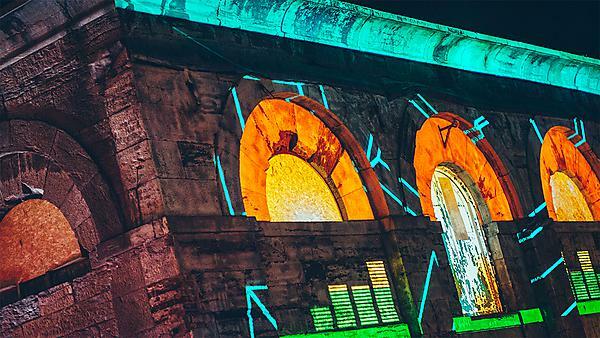 Illuminate, a spectacular light festival that connects the Mayflower 400 destinations across the UK and internationally, returns to the historic Royal William Yard for four days in November 2018. The festival offered an immersive experience, with projections and light installations set out across the Yard, live performances and opportunities for audiences to interact with the works. Illuminate 2018 featured international artists including Xavi Bové and Thomas Voillaume, as well as University of Plymouth graduates Juliet Middleton-Batts and Paige Alexander and current fine art students.